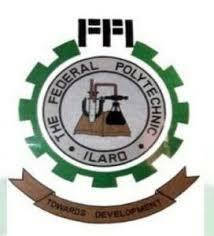 Federal Polytechnic Ilaro, ILARO POLY National Diploma (Part-Time) Acceptance Fee, Payment, Registration Guidelines, Deadline/Closing Date for 2018/2019 Academic Session. This is to inform all the candidates offered admission into the Federal Polytechnic, Ilaro various Part-Time National Diploma (ND) Programmes for the 2018/2019 academic session, that they are all required to proceed to the payment of the non-refundable acceptance fee. ALL CANDIDATES OFFERED ADMISSION IN THE 2018/2019 SESSION FOR PART TIME NATIONAL DIPLOMA (PT ND) PROGRAMMES ARE TO PAY AN ACCEPTANCE FEE OF TWENTY THREE THOUSAND SEVEN HUNDRED NAIRA (N23,700.00) ONLY (THIS PAYMENT INCLUDES ALL BANK CHARGES). REGISTRATION PROCEDURE: CANDIDATES ARE TO CHECK THE INSTITUTION’S WEBSITE FOR DETAILED INFORMATION ON REGISTRATION PROCEDURE. N.B: Please note that the deadline for the payment of Acceptance Fee for ND PART-TIME FIRST LIST is MONDAY, AUGUST 27, 2018 . N.B: Please note that the deadline for the payment of Acceptance Fee for ND PART-TIME LIST is MONDAY, SEPTEMBER 24, 2018 . 1. Re-upload their O’ level result. 2. Submit a copy of their O’ level result at the admission office between today and Friday August 23, 2018. (Only candidates who have re-uploaded their O’ level results and submitted the result at the admission office would be enabled to pay Acceptance Fee.